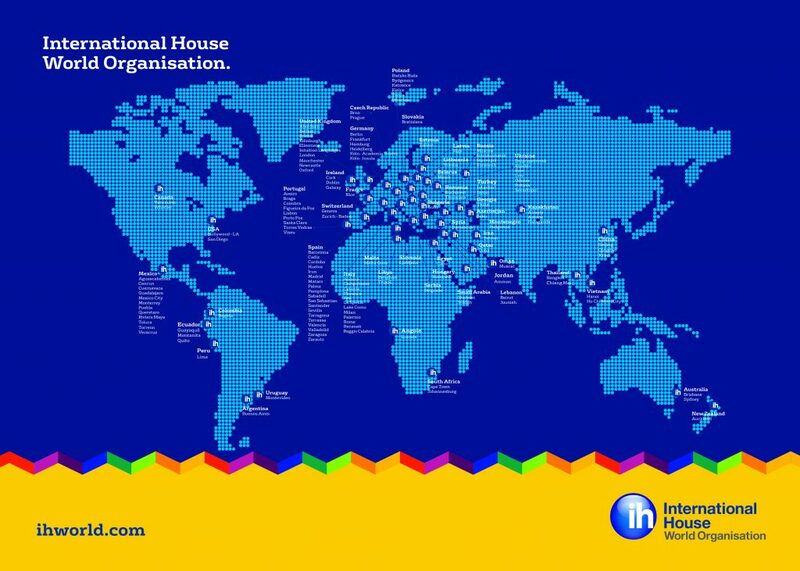 International House is one of the largest and oldest groups of language schools in the world. 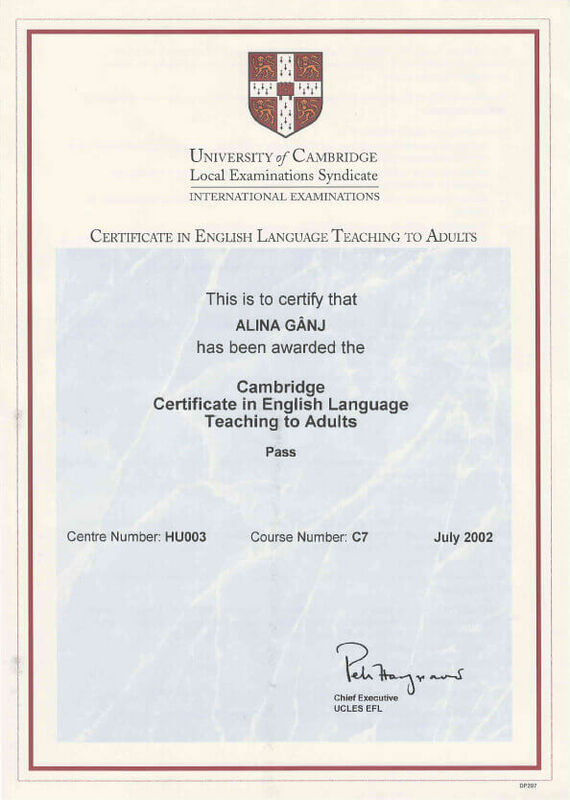 Founded in 1953, it is a global network of 160 language schools in more than 50 countries. 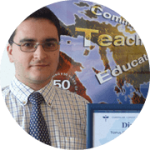 Schools in the network teach English, Spanish, German, French and a wide variety of other languages. 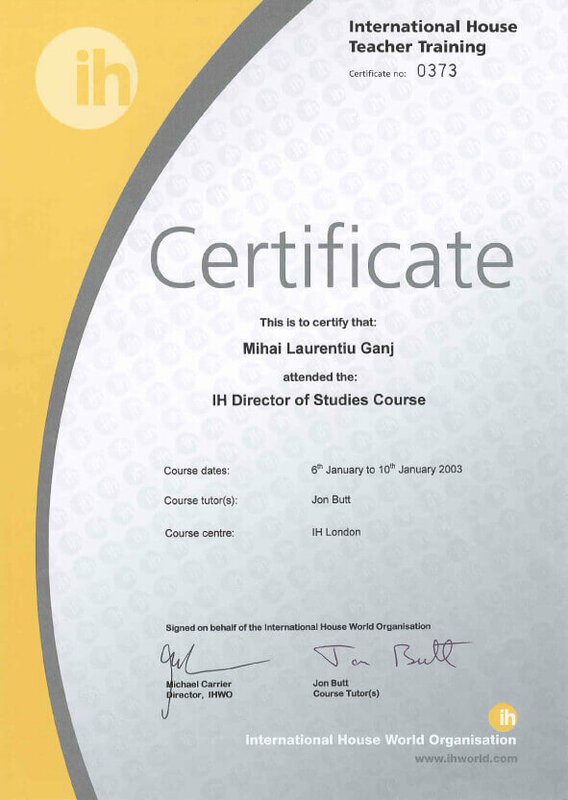 Across the network, IH schools train about half of all CELTA graduates in the world. There are over 200,000 students, and IH schools employ in excess of 5,800 teachers. 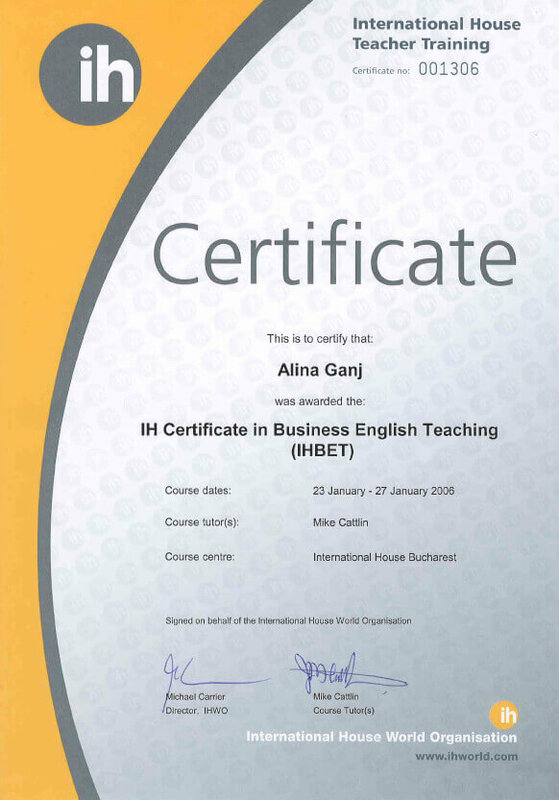 For over 15 years in Romania, International House Bucharest offers high quality services to its partners and is famous for the English courses it provides. Throughout its activity in Romania, International House Bucharest has been training over 15.000 employees in more than 350 multinational companies, which operate in all industries in our country. 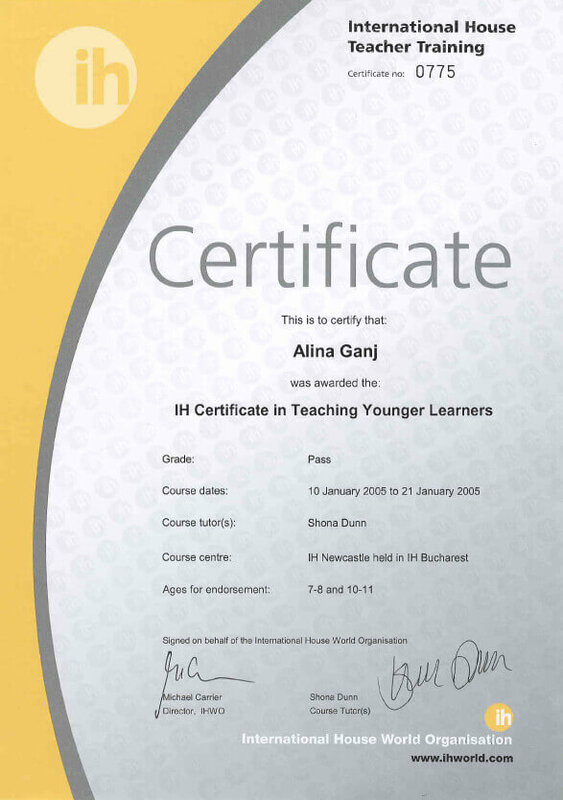 The awards received along the years have proved that the motto “Happy Learners are Effective Learners” stands for a measurable reality, and the 11 excellence points out of 12, received after the last Eaquals inspection, increase the trust level and the dedication of its partners in carrying on the cooperation with number 1 centre for language teaching in Romania. 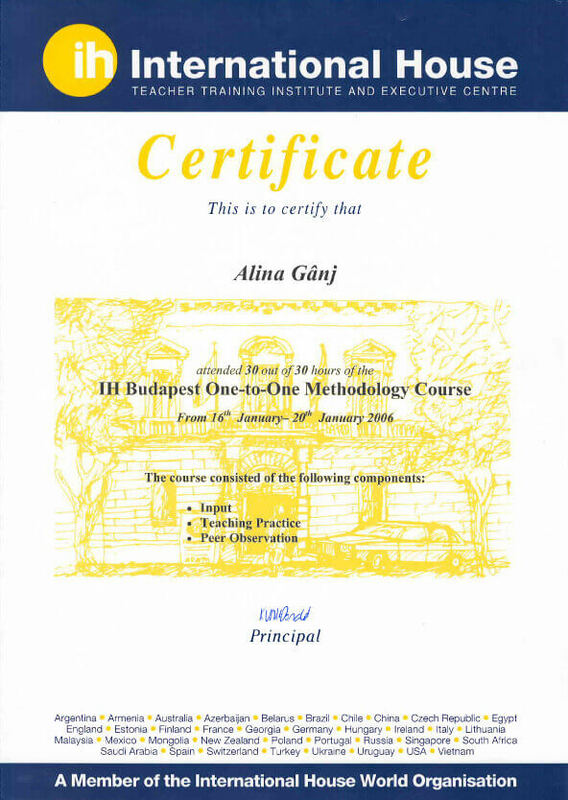 International House Bucharest is member of the most rigorous European association that supervises the standards for teaching foreign languages: European Association for Quality Language Services – EAQUALS. 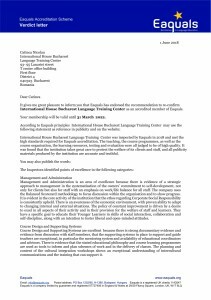 During the last inspection commonly carried out jointly by quality inspectors from IHWO London and EAQUALS (in March 2018), all the international standards for a foreign language centre have been checked. All teachers have been observed in the teaching process, at all levels and for all types of courses under implementation at that time (Business English, English for kids, Romanian for foreigners, etc. 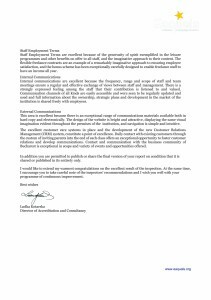 ), all IH employees have been interviewed and all the working procedures have been analysed thoroughly and according to the latest developments in the area. 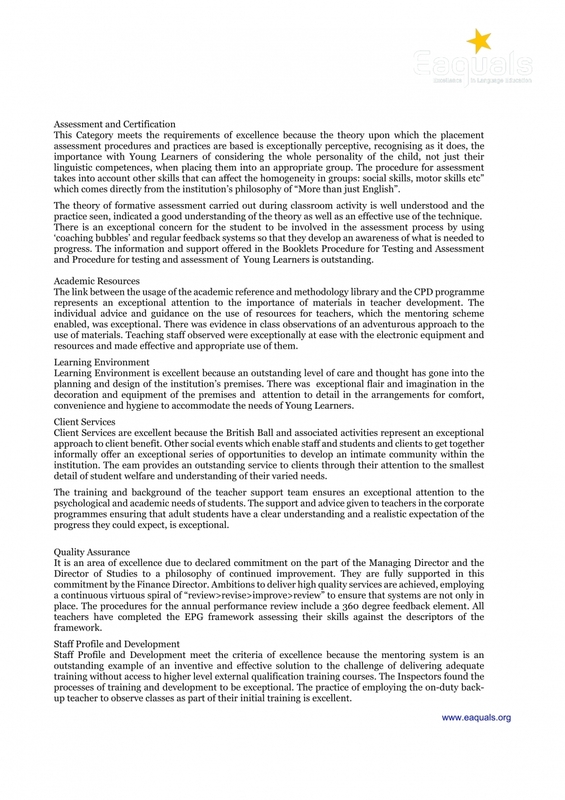 11 excellence points out of maximum 12 possible! 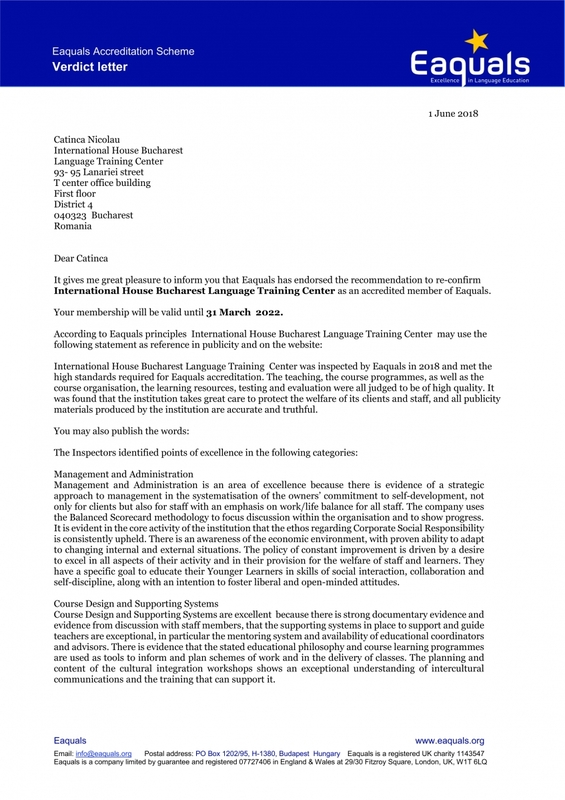 “International House Bucharest Language Training Center was inspected by Eaquals in 2018 and met the high standards required for Eaquals accreditation. 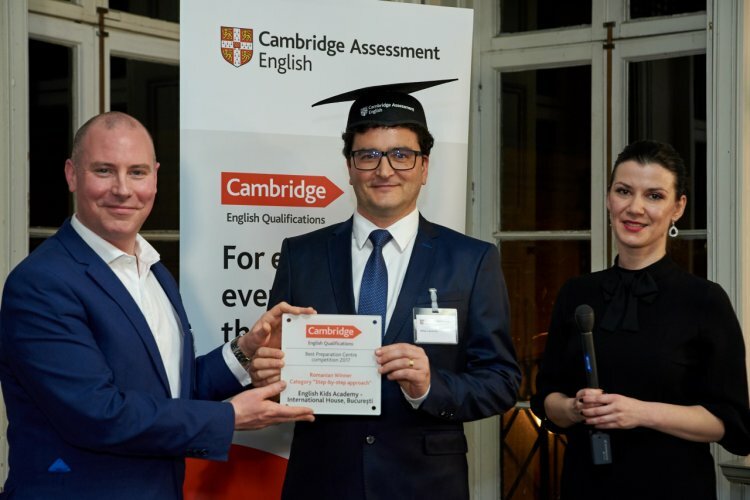 The teaching, the course programmes, as well as the course organisation, the learning resources, testing and evaluation were all judged to be of high quality. 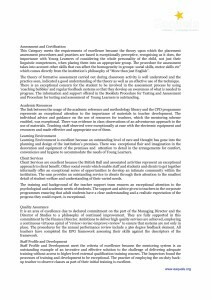 It was found that the institution takes great care to protect the welfare of its clients and staff, and all publicity materials produced by the institution are accurate and truthful. 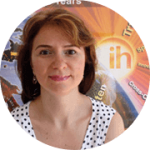 IH Bucharest este condusă de o echipă de experți de nivel internațional, cu certificări dintre cele mai înalte în domeniu și implicați în proiecte globale. 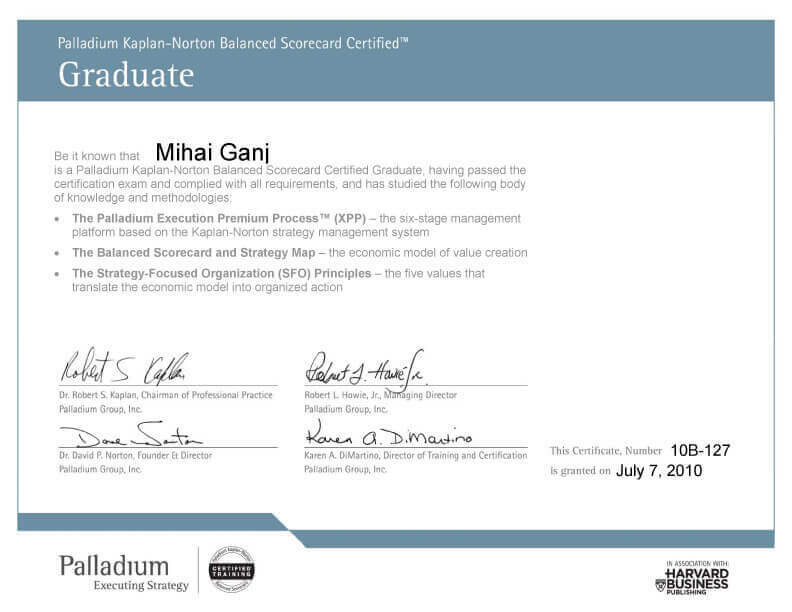 In 2010, he graduated the strategic management programme, created by Robert S. Kaplan, PhD, from Harvard and David P. Norton, PhD, from Palladium Group, the creators of one of the most efficient strategy management systems: Balanced Scorecard. 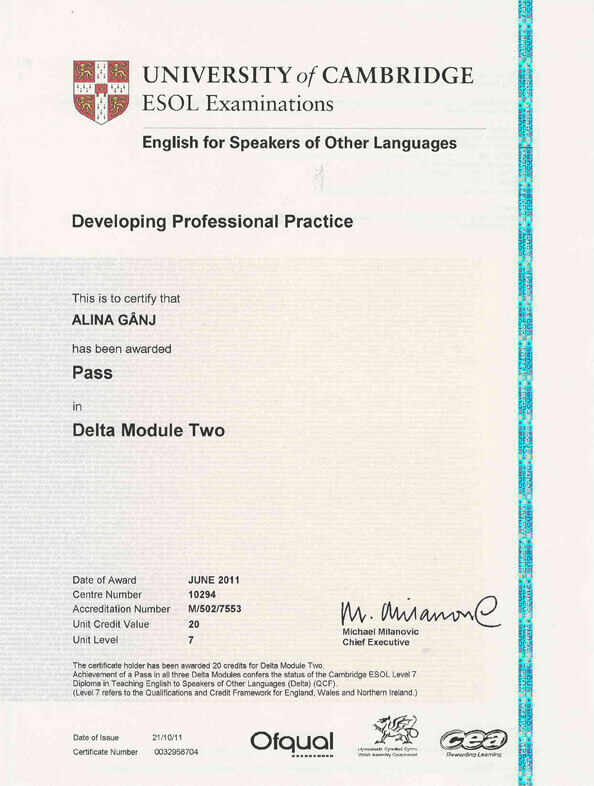 In 2010 he represented EAQUALS at the London reunion of International Standard Organization (ISO), when it was decided to create a new global standard for language training providers. 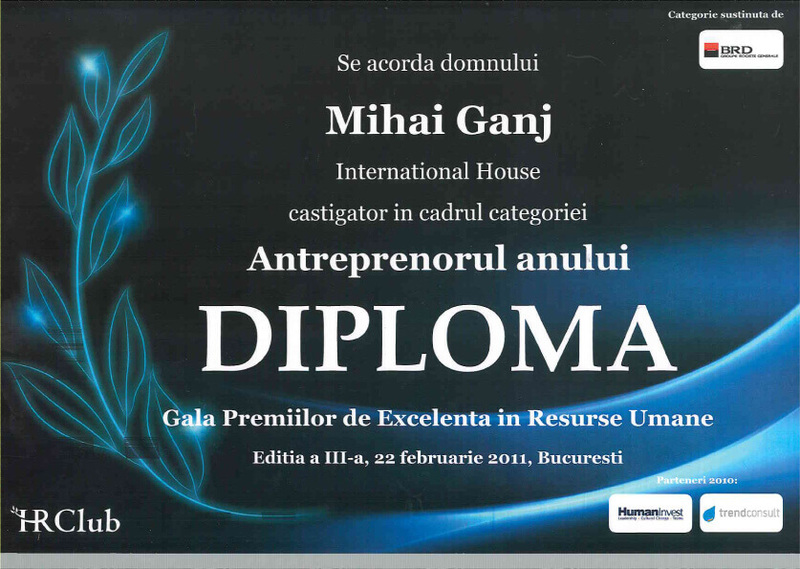 In February 2011 he was awarded the entrepreneur of the year 2000 by HR Club Romania. 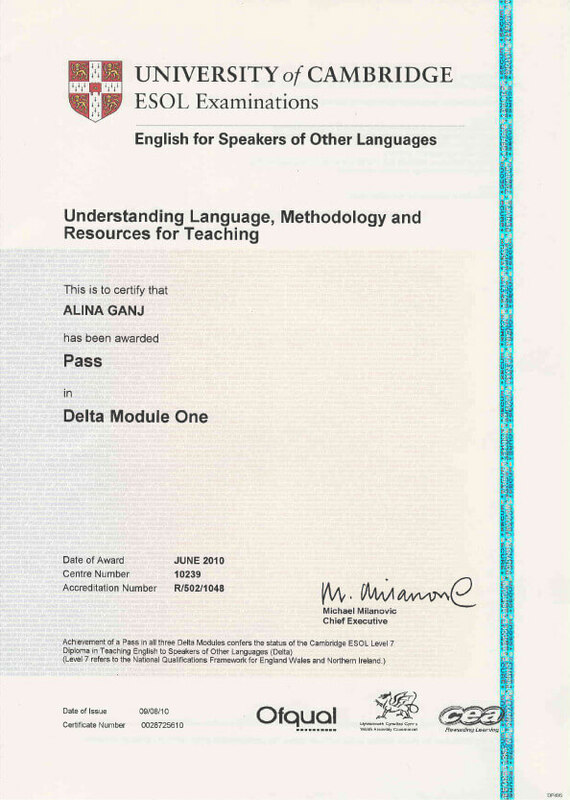 IHWO London quality inspector, EAQUALS quality inspector in training; she holds the highest diploma in English teaching: DELTA (Diploma of English Language Teaching to Adults), qualification created by IH throughout the time and currently bearing the logo of Cambridge University). In 2010, she graduated the strategic management programme, created by Robert S. Kaplan, PhD, from Harvard and David P. Norton, PhD, from Palladium Group, the creators of one of the most efficient strategy management systems: Balanced Scorecard. 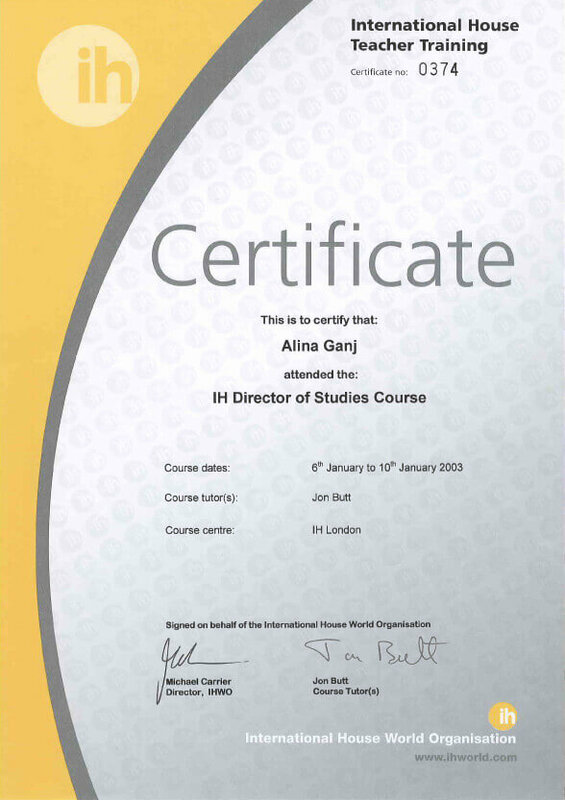 Also, Alex is an inspector for International House World Organisation, inspecting IH schools all over the world and making sure that the latter comply with the provisions of the quality and conduct code of International House. 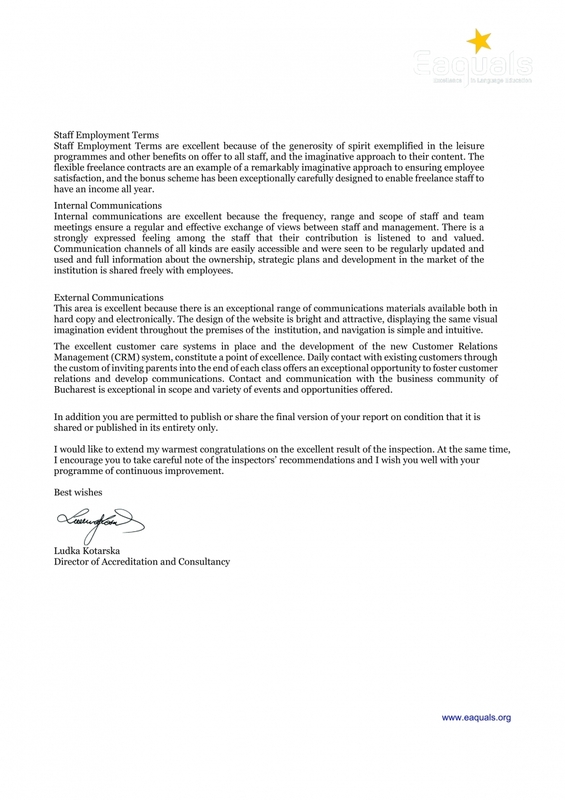 Up to date, he carried out 25 inspections in Europe and not only. 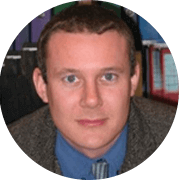 He is a reviewer for Modern English Teacher, a professional magazine for language teachers; also, he is a co-author for English Unlimited, a series of 6 books on general English for adults, published by Cambridge University Press. Alex led the most recent training programmes, which led to obtaining the international certification by IH Bucharest teachers, i.e. the IH Certificate in Teaching to Adults. 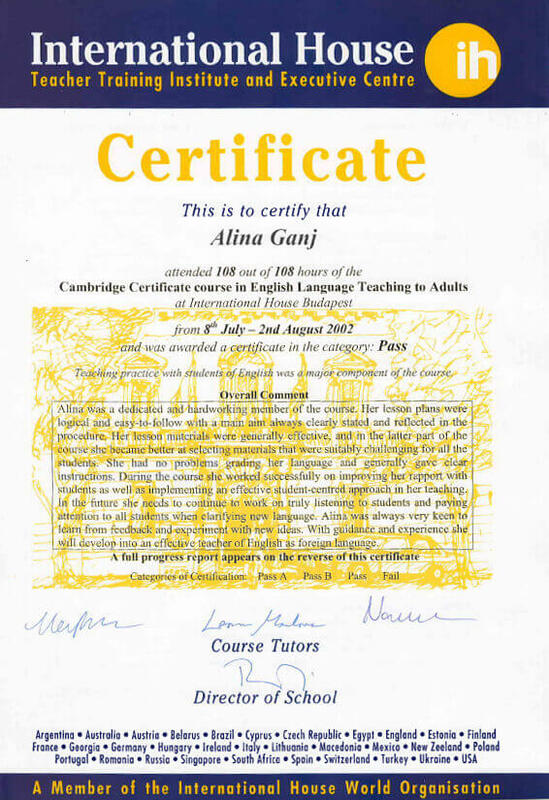 This programme is one of the best worldwide: 4 weeks on teaching techniques and observing real lessons, followed by feedback from the trainer.